We're very interested to hear your answers. Ah, the local pub. A cornerstone of your social life and a haven for those that want a brief respite from the rat race that is modern life. While we're not advocating too many visits down to your local boozer, there's no denying the allure of a decent pint, good company and a bit of grub. It's one of the simple pleasures that's left in life. While some people might prefer to decompress with a trip to the gym or cinema, we're firm believers that a visit to the local pub is good for the soul. This being said, there are always pros and cons when it comes to making that decision to have a few pints. Do I have the cash? Are my mates heading out? Is it going to be wedged? You know the drill. 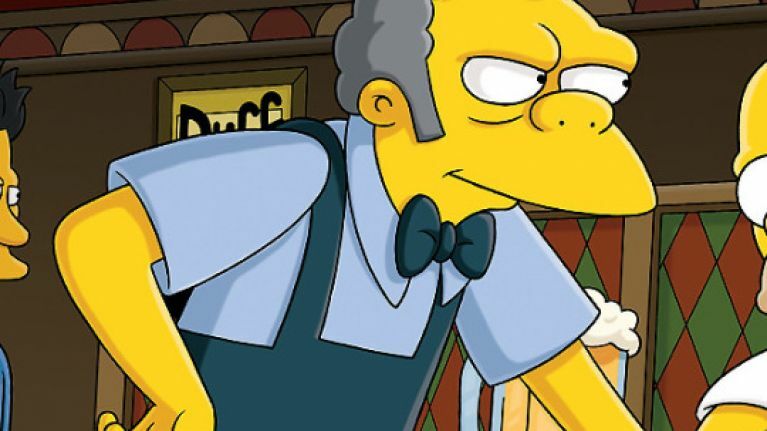 Well, one Twitter user by the name of Fright Creepley‏ has asked a question that nobody ever thought about when it comes to visiting your local - could you survive a visit to your local pub if you had to fight the thing it was named after? 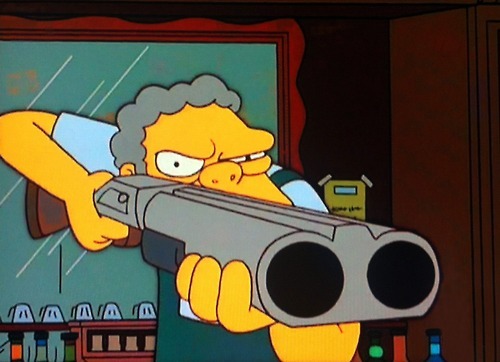 For example, would you have a pint in Moe's if it meant fighting Moe Szyslak. In what's a fine display of the Internet being great, some of these answers are very funny. Could you survive a visit to your local pub if you had to fight the thing it was named after? Some pubs would make you feel really guilty. There's a pub on our road called the Blind Busker, so in theory yes, but I'd feel pretty bad about it. Never mess with a trade union. Would you be prepared to engage in some animal cruelty for a pint? Fancy squaring-off against a biblical character? Magdalen Arms - so fighting just the arms of Mary Magdalene. Guess it depends on her boxing expertise, and condition of arms after 2k years. I'd have to fight The Auld Triangle. I honestly have no idea how that would go. We would genuinely pay to see this fight.